If you’re reading this, then you’re most likely aware of the problems that continue to plague Steam’s massive PC marketplace. Games cobbled together from example assets and copyrighted material are being dumped onto the store in mass, flooding out legitimate developers and (in some cases) testing the reaction time of Valve’s legal team. This process is called asset flipping. We’ve covered some of these shady games in the past, and Mellow Online’s series of GreenWatch articles have shone a light on some of the business practices that keep these operations going. Mellow also helps operate the Guardians of Greenlight Steam group, and their members and several YouTubers have uncovered a meeting place of sorts that does a lot to explain how and why these developers are making the money they’re making. In his post, Mellow explains the research that he and other Youtubers undertook to take a look at Miped.ru and their shady practices. Other members of the team include Sanji Himura, A Flying Brick, Lord Crocosquirrel, SidAlpha, and Tryyton. 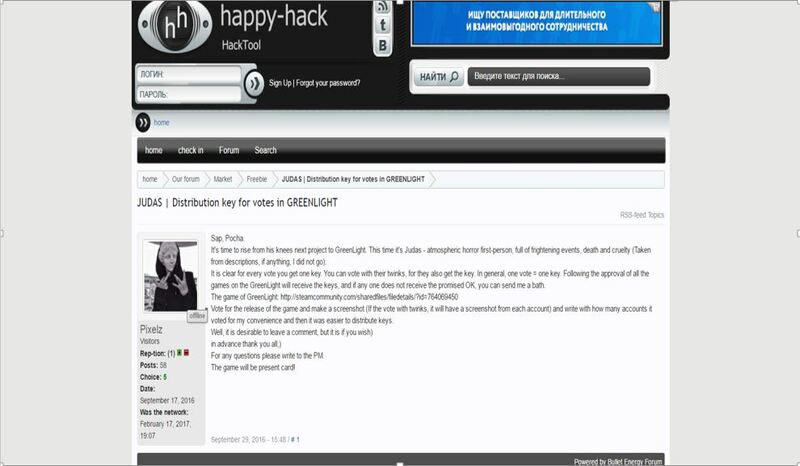 The site in question is a forum where greenlight developers are able to request votes for their titles, thus increasing the chance of them being publicly released onto the Steam store. The way that they garner these votes are through usual tactics such as votes for votes, offering free keys to the released game upon launch, and even that they will report other asset flip games to Steam. Once released a lot of these titles are being sold via these kinds of greenlight abusing websites too, they are being sold at huge deficit, some games costing less than 10 cents. For many people reading to hear about a developer using stolen assets, going through the greenlight process to release a product, and then to sell codes for their game at such a cheap price might not make sense but it’s in the trading cards that come bundled with the title that this scheme begins to form. Who knew some extra fun and collecting could cause so much trouble? For those who aren’t aware when you purchase a game that has enabled Steam Trading Cards you’re given digital trading cards relating to that game for your Steam inventory, the more that you play the title the more you’re able to earn. You can naturally collect up to 50% of the card set through gameplay but to attain the rest you need to trade and purchase what you’re missing. If you have cards that you don’t want you’re able to break them down into a currency called Gems which can then be spent purchasing booster packs for a variety of games giving you the chance to complete your collection. For any regular player, the drive to collect all of the cards in a set for a game badge is enough, the developers of these asset flip titles though have found a way to use the Steam Trading Cards as a means to launder money and make far more than they would on their game itself. Here is where the plot begins to be unraveled. 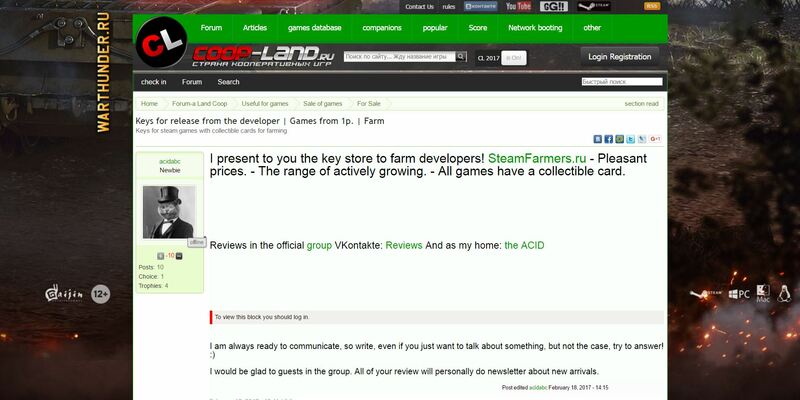 If a developer is able to create a number of steam accounts, supply all of those accounts with free codes/dirt cheap codes to their latest asset flip hit, farm all of the Steam Trading Cards, turn them into gems, purchase packs for popular/more expensive titles, and sell the rarer cards through Steam Trading Card auctions they have found a way to launder their asset flips into real money. Alone this process would take participants hours to generate codes of their own games, manage the trading cards of multiple fake accounts, and trade them through the store but with a community of this size acting brazenly out in the open with the aid of bots designed specifically to “allow you to farm Steam cards using multiple Steam accounts simultaneously.” This would trivialize the process allowing for mass profits over little effort. 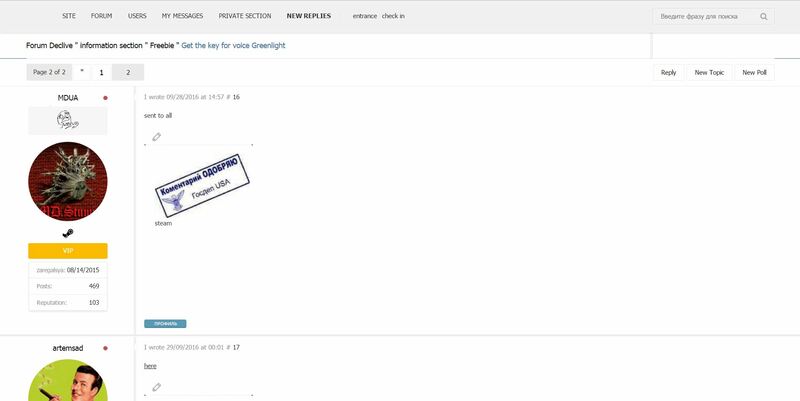 Through this research, the Guardians of Greenlight also managed to find numerous other websites all conducting very similar business. Some of the more reputable users from Miped.ru, such as acidabc and F1N, can also be found on a couple of different sites. F1N (of Dentola Studios infamy) in particular is a prominent member of this forum and a moderator. If you wish to learn more about the process then both SidAlpha and Lord Crocosquirrel have released videos going into the investigation more. The top comment on SidAlpha’s video is from TotalBiscuit who explained that Valve is aware of what is happening and discussed it with him during his meeting with them. They classify these Asset Flip titles as “Fake games” and have a variety of plans that are being put in place to stop something like this from continuing. At this point in time, the team at Guardians of Greenlight is hoping to raise awareness of these steam flip games and how the community behind them can create money by laundering their titles through the Steam Trading Card System. TechRaptor has reached out to Steam for a comment about this discovery but has yet to receive a reply. What do you think of this Steam money laundering? What do you think should happen to these flip asset developers? All above images were used with permission of Mellow Online.